One day last June, I went for a jog with my new friend Shannon. She had moved to Cajamarca as part of a Fulbright grant to teach English at the university. 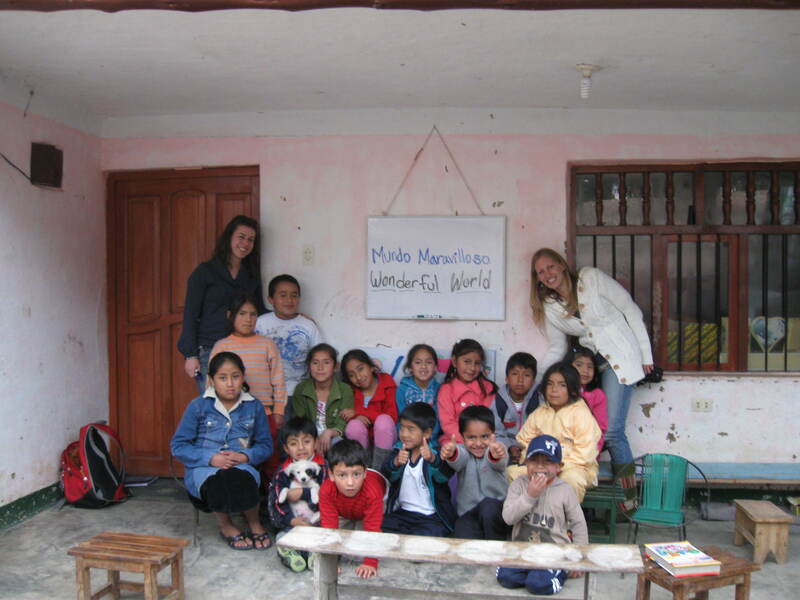 While she loved her life in Peru, she missed working with school-aged children and was looking for opportunities to volunteer with an under-served community. I had been informally teaching English to several children on my street for months. I wanted to formalize my efforts into classes, but didn’t know how to go about it. By the end of our three-mile jog, we had decided to start a school. It was as simple as that. After a couple meetings, we bought some markers and a dry erase board and began teaching free English classes on Tuesdays and Thursdays. Following the principle that you don’t need a building to have a classroom, we began to teach in the street where the kids usually play soccer. After two classes, a neighbor quickly volunteered a few child-sized chairs and the use of a roofed patio outside of his house. Over time, more and more children came consistently and now we have an attendance between 12 and 18 children per class between the ages of four and eleven. 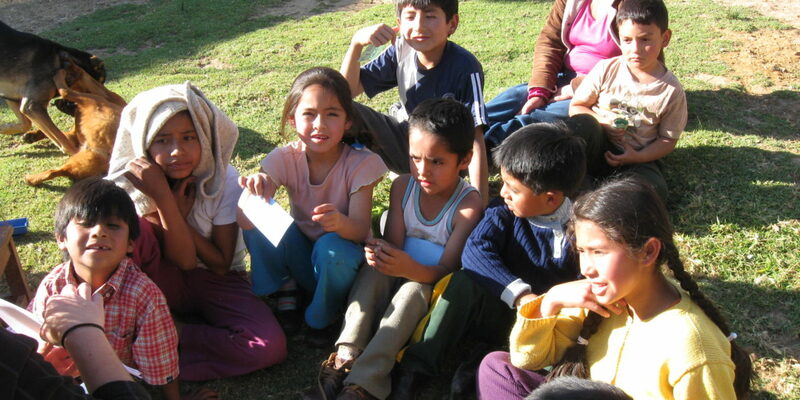 With geese, chickens and dogs wandering around us, we sing songs, play games and walk these kids through basic English. As terrible as it sounds, for most of my life I have not been a fan of children. In graduate school, I dabbled in Pediatric occupational therapy but quickly became disinterested; preferring to work with a my-aged or older, even geriatric population. Perhaps I hadn’t met the right kids. For some reason, I find myself drawn to these children, who, despite the bad hands they were dealt, manage to be seemingly happy-go-lucky kids. Some of our students have it better than others. Some eat three meals a day, others are lucky to get one. Some go to school, others don’t. One of my eight-year-old students lives in a closet-sized mud-and-grass hut with her 13-year old sister (who raised her). Her parents live in the countryside and don’t want her. One of our brightest students, Pepe, can’t walk due to a congenital spinal deformity; this seven-year-old boy crawls on his hands and ankles. The family has been given money twice to bring him to Lima for a surgery that would give him the ability to walk, but they used the money on other things. No matter what, each afternoon the kids gather to play soccer in the street with their worn ball and smiles on their faces. Pepe is a surprisingly good player. Each kid has a story. These kids are TOUGH. These kids rarely whine, cry or ask for anything more than for me to play soccer with them after class (a disgraceful sight). In my opinion they need so much. I want to give each one the same opportunities I had growing up. However, saving the world or even one child is far more complicated than one would ever imagine (trust me, I’ve tried). So, I offer free English classes twice a week to anyone who wants to come. The kids and parents show extreme gratitude and have graciously welcomed me into their close community. Not only are these kids happy, grateful and tough…they are SMART! One day as I was conversing in Spanish with a small group, I asked a question and soon realized I already knew the answer. “Duh!” I blurted out in English. “Duh!” I heard the kids repeat. From that point forward, I began to hear the expression “Duh,” used commonly and appropriately throughout the children of my neighborhood. I was proud. Fortunately their quick acquisition of the language carries over to more useful expressions such as “hello” and “how are you?” which I am greeted with frequently nowadays. The greatest problem we faced was that of classroom management. With a teacher:student ratio of about 1:50 in the public schools, you can imagine it would be difficult to structure things. In the local school that our students attend, the teaching is done mostly by lecturing in the front of the classroom. During the first few classes, when we asked a question the children would either shout out the answers or stand up and wave their hands in front of our faces pleading “please miss, me, please!” At the end of class when I read a book, the children would crowd me, trying to all sit in my lap at the same time. Okay, so THESE kids are tough, happy, grateful, etc. but I don’t like them enough to get suffocated. The chaos needed to be controlled and fast. Shannon, being a more patient person than myself and a more experienced teacher was good at ignoring the more outgoing children and calling on the polite ones. I, on the other hand, couldn’t focus with this disorder. First, I tried changing my typically “fun” demeanor. I looked at the children who were talking amongst themselves with a frown on my face and disappointed and said “what are you doing? Listen to your teacher!” This was effective for about 15 minutes. Eventually we implemented rule: “when my hand is up, my mouth is closed” which has had a longer lasting outcome. Generally we structure our lesson plans to keep the kids active and engaged, eliminating opportunities for them to act like brats. While I spent time in the States in the early fall, Shannon continued to teach classes and upon my return in October I was greeted warmly by our students. At that point we decided to get this on paper. Shannon and I (both being major nerds) enjoyed long work sessions during which we wrote our mission and guiding principles, methodology, a profile of the community we serve, lesson structures and more. After a couple weeks, we had our first draft of a portfolio. All we lacked was a name and who better to ask than our bright young students? The one-and-only naming session was productive. Shannon, myself, and several of the kiddos made suggestions. Some were stereotypical names given frequently to schools, churches, buildings, and programs in Peru. “Escuela del Corazon,” (School of heart) “Escuela de las estrellas,” (school of the stars) “Escuela bonita,” (beautiful school) to name a few. There were a few humorous suggestions such as “escuela de las gringas” and “escuela de los monos” (after their favorite song about monkeys jumping on the bed). While the name “school of the monkeys,” was amusingly tempting (both to me and the kids), the final decision came down to a vote. The winner? “Mundo Maravilloso”. In English: Wonderful World. We’ve got a lot to do and a lot more kids to cater to. At least 20 children have recently asked if they can join, but with Shannon back in the States, I’m putting a pause on new admissions. I’m developing a long-term (3 month minimum) volunteer program under the principle that children need consistency to learn efficiently. Little by little, I’ve gathered a box full of books, scissors, markers and a few other supplies to improve our activities. Shannon and I are working together in the upcoming months to develop a set curriculum with matching lesson plans. But Mundo Maravilloso has a great beginning and lots of exciting things to come. 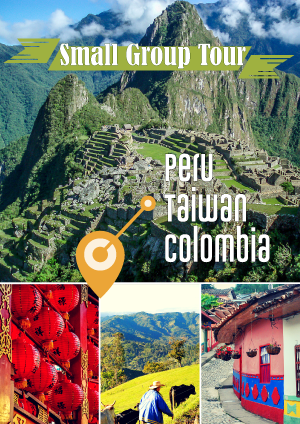 *If you are interested in learning more about Mundo Maravilloso or receiving a copy of our portfolio, please contact me directly via my email: DanielleLParker [at] gmail [dot] com. How good to have you back in the blogosphere! I loved reading this and it makes me homesick now that I am in Australia. You capture better than ever the feeling that I also get with the ‘poor’ kids of Peru. But they are so rich and lucky to have people like you. Awesome! I will e mail you for more info! What an inspirational story, thanks for sharing! you are truly an inspiration and so unselfish to take the time and help these wonderful children. They must love you and are eager to come to your classes. It puts things in perspective for me, to think they have so little, yet seem so grateful. You are very funny, the way you write. It makes me laugh, then tear up with your stories. Also….. love that you called the school Wonderful World. Your Mom is proud of you! Congratulations for the great Mundo Maravilloso! Amazing! There is in your writing evidence of a desire to change not only the life of the kids but also the whole of your new place into a Mundo Maravilloso…! Absolutely everything we need and should be looking into down here right now! Please inspire some of the folks when your travel to this part of the world (Kilimanjaro Mt–East/Africa)! Absolutely everything we need and should be looking into down here right now! Hi Danielle.- Gracias por lo que estas haciendo con esos chiquillos en Cajamarca. Se que el mundo de la pobreza isn’t a wonderful world but our kids make it look different. Most of them are so creative and try to have fun despite their hard life. Gracias porque mas alla de lo temporal que es la caridad tu les estas dando una herramienta para que les sirva en el futuro, educacion. Our government should do it make sure all of our kids have to go to school and have something nutrional to eat. But It isn’t a perfect world so you are feeding them with something it’s gonna be useful soon. Maybe soon I’ll go to Cajamarca I have books in english and magazines about the movie industry. perhaps thse books will be helpful for you and for them. I will cooperate with that and notebooks.